I think I may have found the most beautiful chocolates I've ever seen in my life. When you think of chocolate you don't think of how pretty it is, but that was the first thing that came to mind when I opened my box of assorted Guylian Belgian Chocolate Truffles! They are so unique and beautiful, it's almost sinful to eat them. At first I didn't want to, I wanted to save them. They look like they should be be placed in a bowl and used for decorations. They truly are that beautiful and would create the perfect accent or centerpiece - perfect for the holidays. Of course, my love for their beauty didn't last long because I had to taste them to see if they tasted as good as they looked. I must say that Guylian Belgian Chocolates are simply divine. They are smooth, rich and delicious! I let them melt in my mouth as I savored every single moment. I hate to admit it, but I had to hide some of them in the cupboard because I wanted to eat a few every time I walked past. So, I resorted to the "out of sight, out of mind" technique in order to make them last longer! Guylian Belgian Chocolates are smooth and silky, rich and creamy, luxurious and delicious and sure to satisfy every chocolate lover. "For over 50 years Guylian has sourced only the finest ingredients to compliment our true artisinal Belgian Chocolates. 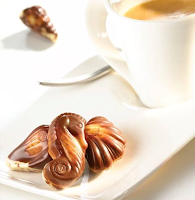 Guylian chocolates are the creation of our Belgian Master Chocolatiers. Notice the pure beauty and richness of the colours. Admire the sculpted shapes and artistry. Study the marbling created by blending our luxurious Belgian white, milk and dark chocolates. Notice that each of our chocolate truffles is signed with the Guylian, our guarantee that each Guylian Artisanal Belgian Chocolate Truffle is made just the way our founders Guy & Liliane intended." This giveaway will end November 18th at Midnight EST. 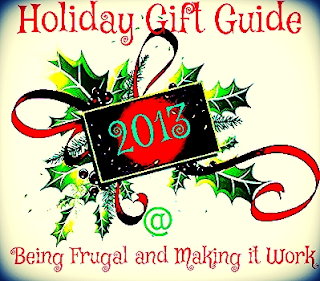 Disclaimer: The Being Frugal and Making it Work family received complimentary Guylian Belgian Chocolates for the purpose of writing a review and hosting a giveaway. Regardless, I only recommend products or services I would use personally and/or believe will be a good fit for my readers. The views and opinions expressed on this blog are based purely by our own experiences. No monetary compensation was received. Results may vary. **Being Frugal and Making it Work is not responsible for prize shipment. My favorite holiday treat is a tie between my mom's pumpkin bread and warm coconut custard pie. I make both a few times a year - so good. annc999 at yahoo dot com. Thanks. Even tho dark chocolate isn't a favorite of mine, I'd like the Chocolate Praliné Truffles. I guess my favorite holiday treat would be divinity or peanut brittle. I would especially like to savor the Guylian Extra Dark Chocolate Truffles. They look fabulous! My favorite holiday dessert is my mother's chocolate fudge. It is amazing and, unfortunately, completely addictive. Yum!! I would most like to savor the Extra Dark Chocolate Truffles. Thank you for the review and giveaway! My favorite holiday treat is the Christmas cookies that my family makes. My sister and I make the same cookies my mom made when we were young. They are a tradition! I like Eggnog Cheesecake bars. They really bring the flavor of the season in. They have such an amazing assortment of products that all sound delicious. It was hard to pick just one but Extra Dark Chocolate Truffles sound amazing. My favorite holiday treat is one that I haven't had since my Mom passed away. She made an amazing Trifle every year. I love the 22 piece Guylian Artisan Truffle chocolates! I have them at home now and eating and sharing them! My favorite Holiday treat is baklava. My mom always makes them during the holidays when we have more guests over! I absolutely love chocolate! and I would love to try the 22 piece Guylian Artisan Truffle chocolates. I'd like Guylian's Artisianal Belgian Extra Dark Truffles. My favorite holiday treat are homemade Christmas cookies. The are so pretty and taste so good! i love their chocolate praylein truffles, but i think i would like t try the vanilla truffles since they are only out for a limited time. my sisters would love the extra dark! I would love to savor all of them actually, but I'd love the Guylian® Individually Wrapped Truffles Christmas Tree Gift Box this would be great to give as a gift...to myself!! I would like to try the Guylian Artisanal Belgian Original Chocolate Truffles. I am in love with truffles! Mmm...Guylain Artisanal Belgian Extra Dark Truffles soup undo pretty amazing! I would really love to sample those. I am a huge fan of Guylian chocolates - they're my favorite. I love the milk chocolate ones the best. This is the box I usually buy: Guylian Artisanal Belgian Original Chocolate Truffles. I would most like to try the Guylian Artisanal Belgian Chocolate Truffles. I like dark chocolate too, but these sound and look heavenly. My favorite holiday treats are cookies, cakes and chocolates. For the spirit of the holidays it's fun to indulge in ginger bread men! I'd like to savor the Guylian® Artisanal Belgian Chocolate Truffles 22 Piece Holiday Gift Box the most. I would love the extra dark truffles. They are my fave kind of chocolate. well, i really love the peanut butter balls my mom has always made at Christmas time! they are the same thing as buckeyes but are completely covered in chocolate. yum!! The holiday themed truffles sound yummy! My husband is diabetic and has to limit his sugar intake. He would enjoy the sugar free chocolate bars. One of my favorite holiday treats is pumpkin pie with lots of cool whip or vanilla ice cream. I would like to try the Guylian Belgian chocolates in No Sugar Added Bars. I want to try the milk chocolate one. Wow, they all look so amazing! I'd love to try the Guylian Artisanal Belgian Truffles! OMG....the seashell truffles are amazing!! I love Pumpkin Cheesecake Pie. I love Buckeyes! Best treat ever. Visited the site and I would really like to try their Extra Dark Chocolate Truffles because I am a huge fan of dark chocolate! I'd like Guylian's Artisianal Belgian Extra Dark Truffles! Love dark chocolate too as it is loaded with nutritious antioxidants! My favorite holiday treat is classic gingerbread cookies and I love making fun decorative gingerbread houses with lots of icing and candy on them! I would enjoy the Artisan Belgium Holiday Chocolate Truffle gift box to share with friends and family the most. Thank you! The Pumpkin Pie for Thanksgiving is my top holiday dessert as I enjoy it with a topping of vanilla ice cream. The 22 Extra Dark Chocolate Truffles looks divine and I know they would make a fabulous gift for my family too! I love peppermint bark as a sweet treat to savor anytime over the holiday months so refreshing and delicious and decorative too. Oh the extra dark truffles look so delicious. Then again, so do the classic truffles. Can't decide. Maybe both and some French Roast coffee! I love my Dad's stained glass candy. He dies it red and flavors it with cinnamon oil. It is out of this world. Perfect holiday treat. I like the Guylian® Individually Wrapped Truffles Christmas Tree Gift Box for share at our holiday gathering then everyone not just me can have a little indulgents. I would most like to try the vanilla cream truffles. The seasonal gift boxes also sound good. My favorite holiday treats are homemade fudge and caramel. I also love frosted sugar cookies, decorated for Christmas. I would like to try the Guylian Artisanal Belgian Original Chocolate Truffles. They are so smooth and creamy. I would like most to try the Guylian Extra Dark Belgian Truffles first, but want to try all of them. My favorite holiday treat is gonna have to be See's Candy...the Nuts & Chews variety. We get it every year at Christmas! The extra dark truffles sound so good. Really it all sounds good, I love chocolate, it is my downfall. My favorite treat is dark chocolate. I love their bars as I can choose the percentage of chocolate in them and sugar or no. I really would love to try the Artisanal Belgian Chocolate Truffles and the Extra Dark Chocolate Truffles. Gift Wrapped Ballotin sounds absolutely delicious and I would love to taste those! I really want to try the classic truffles! I love there Chocolates, you really get what you pay for! I would love to savor the Guylian Artisanal Belgian Chocolate Truffles. They look like they would taste divine! I love dark chocolate so I'd like to try the Extra Dark Chocolate Truffles. They sound delicious! I love candy canes...to me nothing is more Christmasy than a bunch of delicious candy canes! This type of without sugar chocolate bars are best for my mother because she have facing some diabetes problem. I know she love chocolate very much but never eat it due to its problem but when i give that sugar free chocolate gift on Christmas eve she really surprised. I am sure she blessed me for this and thanks to you admin for sharing this sweet,delicious post here!! Call me simple but I would like to try the No Sugar added Milk chocolate bars!. How could I possibly pick one favorite holiday treat! Pumpkin bread, pumpkin dip, gingerbread, Peppermint Bark, candy canes, way too many things to choose from!! My favorite holiday treat is my Mom's fudge with egg nog. I would definitely want to savor the Guylian Artisanal Belgian Chocolate Truffles. I think Belgian chocolate is amazing! I was even able to eat chocolate IN BELGIUM as a kid, which was awesome. My favorite holiday treat would have to be either pumpkin pie or pecan pie. My favorite holiday DRINK is the Pumpkin Spice Latte from Starbucks, which I crave alllll year! I used to really love dark chocolate but recently my taste has changed. Id love to try the Guylian Artisanal Belgian Original Chocolate Truffles. Wow yum they have a lot of things I saw that I like! I'd go with the Guylian's Artisianal Belgian Extra Dark Truffles first, yum! I would love to savour the Original Chocolate Truffles! I love chocolate and these sure do sound good! Thank you!! My favorite Holiday treat is the Candy Cane! I love the way they are shaped and I love the peppermint flavor! the extra dark chocolate truffles! I would try the 22 piece classic truffles, they look delicious and almost to pretty to eat. I would love to give these as Christmas gifts. I would like to try the Extra Dark Chocolate Truffles, it looks like there are several size boxes to choose from. My favorite holiday treat are special K bars. My grandma has been making them for years and no one can make them quite like her. I would like to try the Guylian extra dark truffles. They sound delicious and I would love to share them over the holidays. I would most like to savor the Milk Chocolate No Sugar added Bars. I would love to try the Extra Dark Chocolate Truffles and also the Extra Dark Chocolate Praliné Truffles, dark chocolate is my favorite treat! I want to try one of everything, LOL! The Extra Dark Chocolate Truffles sound divine - I'd go through that box of 22 probably too quickly! They all look really delicious but like Guylian's Artisianal Belgian Extra Dark Truffles. I would love to try the Vanilla Cream Truffles! I would like to SAVOR the ArtIsAnal Belgian Truffles. 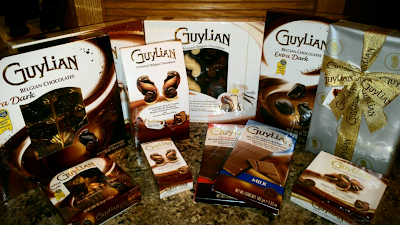 I would love the Guylian® Artisanal Belgian Chocolate Truffles 22 Piece Holiday Gift Box as a gift. My favorite dessert at the Holidays is Frosted Sugar Cookies, I could just eat them all day.